International MIC tournaments – Mediterranean International Cup of football and basketball, that will be held for Easter in the counties of Girona, have been presented this Tuesday at the Auditorium of Girona. Àlex Granell, player of Girona Futbol Club, and Laia Palau, basketball player of the Spar Citylift Girona, attended the event. The football competition will arrive at the 19th edition and the basketball one in the 3rd, adding between the two tournaments the dispute of nearly 1,100 matches in five days, a figure similar to the one of last year. The MICFootball will take place from the 17th to the 21st of April in 35 seats, with Peralada and Vilablareix being the headquarters that are joining this year. The inauguration will be on Wednesday 17, at Vilatenim Stadium in Figueres, for the second consecutive year, but in this case in the morning. 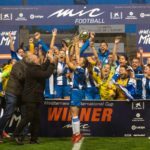 Figueres, like Palamós, will host the finals of a competition that will include, among other things, the split of the youth category and the inclusion of the VAR. The figures for 2018 will be maintained, with the forecast of 900 matches played by 6,550 players from 364 participating teams, from 44 countries of 5 continents. The MICBasketball will be played from April 18th to 21st with a total of six male and female categories, divided between U14, U16 and U18. In this case, there will be a total of seven venues, more than 130 matches, 60 teams from 12 countries and the finals will be played in the Pavilion of Fontajau, Girona. The two godfathers, in Girona, of this edition of the MICSports tournaments were Àlex Granell and Laia Palau. The captain of the Girona FC, who played with the Catalan selection team against Venezuela, said, a few hours later, that he had lived «a very special day full of emotions, which he dreamed for years and that he will always remember». From MICFootball, Granell has emphasized that «whenever I can I go to see matches, it is a great opportunity and a great luck to have a tournament like this at home. It is a nice experience, it gives off a lot of values, I played with Farners U19 team and I enjoyed it a lot». Palau, who will play with the Spar Citylift Girona on Thursday with the idea of entering in the EuroCup final on the BLMA Montpellier court, said that «tournaments like this are a good asset for base sports, they are a motivation, apart from offering a competition stage, it also does so in the cultural field, giving a lot of perspective and human values. Sport, apart from being exciting, must be a social construction tool». Juanjo Rovira, director of MICFootball and MICBasketball, explained that «the challenge every year is to make the best MIC of the history». At the gates of the two decades, Rovira recalls that «growth has been enormous, the first year we had 128 teams, now 364, and this year it was the time to grow in breadth and in more quality details, without losing our essence». Regarding one of the novelties of the competition, the video arbitration, the tournament director who organizes MICSports, highlighted that «it is a satisfaction that is set for our tournament and gives us a reputation to face abroad. In addition, we are increasing visibility, as we will have more television broadcasts and streaming than ever». Regarding the basketball tournament, Rovira pointed out that «when we had the MICFootball consolidated, two years ago we started the MICBasketball, it was an exciting challenge that we did not know what acceptance would have. We made a first edition working very hard and in which we managed to bring together 60 teams. It was a success and last year we reached 111, an unthinkable fact. In this third edition we take a small step back to consolidate the bases and with the aim of having the MICBasketball travels over time». The MICFootball and the MICBasketball move, during Easter in the counties of Girona, more than 10,000 people, between players, coaches, parents, volunteers and referees. Fermí Santamaria, first vice president of the Diputació de Girona, highlighted that the economic impact «is very important, but so it is the fact of publicizing the Costa Brava. MIC is a great emitter, it’s like a sport tsunami, the movement that generates of players and families is one of the reasons why it is a great bet». Pere Vila, delegate of the Government of the Generalitat in Girona, stated that «it is an honor to have the MIC in our house; for the Costa Brava is very important, as it helps us to focus Easter with a lot more people. In the MIC, football is what matters, but also what it brings, as many teams can enjoy our environment». Bernat Rubió, director of the Banca d’Institucions de CaixaBank in Girona, reaffirmed the financial support of the tournaments «because it fits perfectly with the sports sponsorship strategy of the bank and because we share the values ​​generated by sport in training of our youngsters ». Rubió has highlighted the social side of the MICIntegra tournament as one of the fundamental elements of the sponsorship of CaixaBank as a socially responsible bank. CaixaBank’s Bank of Institutions has finally pointed out that MIC «shows the commitment of the entity with the territory and, in particular, with the counties of Girona». A total of 35 municipalities –with Peralada and Vilablareix being the headquarters that are joining this year- will host the matches of the 19th edition, divided into 46 different facilities: Bàscara, Begur, Bescanó, Caldes de Malavella, Calonge, Cassà de la Selva, Castell Platja d’Aro, Castelló d’Empúries, Figueres, Fornells de la Selva, Girona, Hostalric, l’Escala, la Bisbal d’Empordà, la Jonquera, Llagostera, Llançà, Lloret de Mar, Monells, Mont-ras, Palafrugell, Palamós, Pals, Peralada, Quart, Sant Feliu de Guíxols , Sant Gregori, Sant Pere Pescador, Santa Coloma de Farners, Santa Cristina d’Aro, Sils, Torroella de Montgrí, Tossa de Mar, Vidreres and Vilablareix. The tournament will expand the range of participating countries with the entrance of Uruguay, Zambia, Kenya, Malta and Uzbekistan. To promote the competitiveness of the teams and continue the dynamics of previous years, categories will continue to be split and this time the youth will be divided into players of first and second year, on the one hand, and third year on the other – this fact It was already in cadets and in children. In total, there will be nine categories, from U12 to U19 in male and female soccer-11, and U12 male soccer-7. 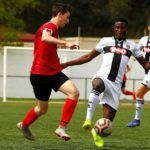 The split of the second year youth category (A1 – U19) in the 19th MIC – Mediterranean International Cup will be linked to one of the other great new features of the tournament this year, the VAR. The video assistant referee will be put into practice in youth matches played in Lloret de Mar and will serve as a test bench in the formation of the referees of LaLiga 1|2|3. The video arbitration will be implemented in the Second Division A 2019/20 and during the MICFootball it will be practiced by the 22 main referees and the 44 participants in the silver category. Broadcasts and streaming broadcasts will also increase in this edition and a large part of the tournament can be followed from anywhere in the world. The tournament, which will feature six of the eight clubs that are classified in the quarterfinals of the UEFA Champions League, will see top-level organizations like FC Barcelona, ​​Real Madrid CF, Atlético de Madrid, RCD Espanyol, Manchester City FC, Manchester United FC, Tottenham Hotspur FC, Liverpool FC, Paris Saint-Germain FC, FC Internazionale Milano, Parma Calcio, Olympique de Marseille, FC Oporto and FC Shakhtar Donetsk. For the previous editions of MICFootball there have been first-class base football teams and players that are currently in the elite. This is the case with Leo Messi, Philippe Coutinho, Gerard Piqué, Sergi Busquets, Sergi Roberto and Jordi Alba (FC Barcelona), Neymar Jr. (Paris Saint-Germain FC), Dani Carvajal, Carlos Casemiro and Sergio Reguilón (Real Madrid CF). Marcus Rashford and Juan Mata (Manchester United), Justin Kluivert (AS Roma), Alex Iwobi (Arsenal FC), Cesc Fàbregas (AS Monaco), Saúl Ñíguez (Athletic Club of Madrid), Marc Bartra (Real Betis Balompié) and Pablo Fornals (Villarreal CF), among many others. The MICBasketball, established in the demarcation since 2017, has seen during this short stage players such as Dusan Tanaskovic, of the KK Partizan and who has already started at the EuroCup, or the establishment of the Youth of Badalona, ​​champions of the prestigious Junior Tournament of the l’Hospitalet (Barcelona). There will be about 700 players from among the quarries of the ACB and international courts such as FC Barcelona, ​​Valencia Basket, Zalgiris Kaunas, Trinta, New York Gauchos and Brainers Basketball Academy, among others. The more than 130 games will be played in ten sports centers in seven towns of the province: Lloret de Mar, Sils, Vidreres, Caldes de Malavella, Cassà de la Selva, Maçanet de la Selva and Girona. The MICIntegra tournament, focused on people with intellectual disabilities, celebrates 7 years. Several football and basketball teams from all over Catalonia will be called on Friday, April 19th, in Vidreres to compete among them. The MICIntegra, which in 2018 had 23 teams, is supported by the “la Caixa” Welfare Projects and the Damm Foundation and aims to promote the creation of a space in the sports imaginary to make these players have their own own competition. The MICFootball, which this year has once again counted with the Diputació de Girona, CaixaBank and LaLiga as its main partners, arrives at this 19th edition defending the values ​​of its beginnings: effort, constancy, respect and teamwork. Competitions, which carry 400 volunteers, are a great opportunity for all participants to learn about other cultures and to compete with future stars of football and basketball. In addition, it is found that the MICSports tournaments improve the positioning of the Costa Brava as a destination of Sports Tourism and internationally project it. 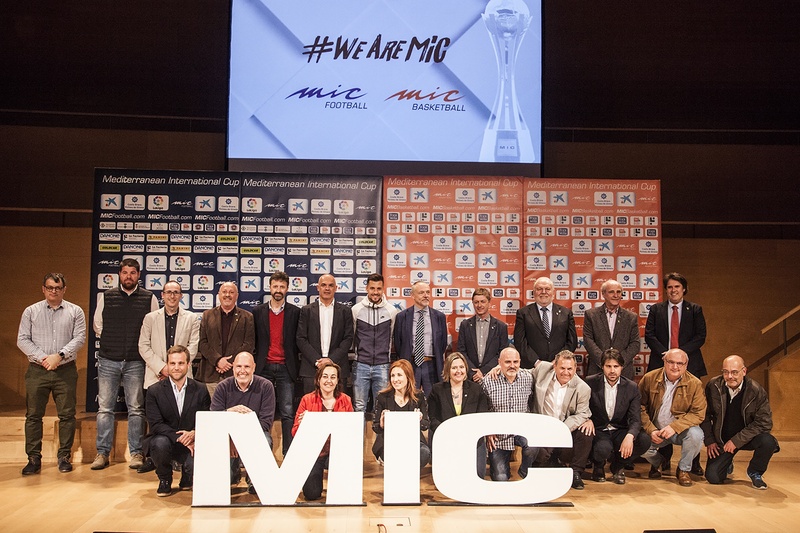 In February, the Diputació de Girona and MICSports signed a declaration of intention to ensure that the MIC – Mediterranean International Cup of football and basketball will continue to be celebrated in the region of Girona for another four years, until 2023. According to the Economic Impact Study of the MIC – Mediterranean International Cup 2018 commissioned by the Costa Brava Girona Tourist Board, the MIC 2018 generated a return in the territory of more than 11.5 million euros with a budget of 2.8 MEUR. For each euro invested by the public administration there was a return to the territory of more than 100 euros (125 euros for soccer and 100 euros for basketball). The values ​​that MICFootball and MICBasketball try to transfer are also reflected in the Sports Journalism Prize Dani Montesinos, with the intention of remembering the figure of the journalist and with the aim of promoting sports journalism and promoting young journalists. The award, promoted by MICSports with the collaboration of Mediapro, will recognize for the 8th year a work done by a journalism student, who at the same time will obtain a practical stay at the GOL Channel.